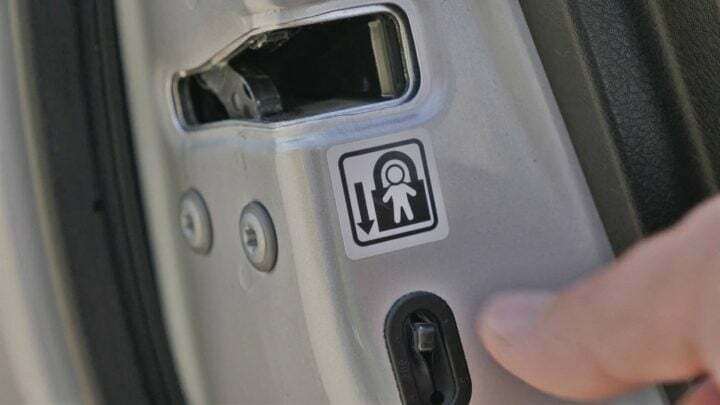 Child Locks will be disabled in all commercial vehicles starting July 2019! In response to recent events in Bengaluru and other cities where child lock was misused by a cab driver to harass a woman, Ministry of Road Transport and Highways (MoRTH) has announced that all commercial vehicles must disable child lock before July 1, 2019. These include M1 category transport vehicles (vehicles used for the carriage of passengers, comprising not more than eight seats in addition to the driver’s seat) like black and yellow taxis, app-based cabs like Ola and Uber and other commercial vehicles. The notification was sent out on November 29, 2018, to state commissioners of all states and union territories across the country. A child lock is basically a small toggle switch which is usually placed near the driver’s seat. When toggled on, the child lock prevents unlocking of rear doors to ensure that children don’t jump out of the car or fall accidentally, hence the name child lock. It is a useful feature for parents which can drive better and safely as the child lock ensure their child’s safety. But in recent events that occurred in metropolitan cities like Bengaluru, Delhi, and other places, the child lock feature was misused by cab drivers to harass and assault women passengers. After a similar incident that occurred in 2017 in Bengaluru, which witnessed a lot of media coverage, questions were asked about the child lock’s integration and misuse in commercial vehicles. Ministry of Road Transport and Highway asked vehicle and equipment manufacturers to look into the matter and check misuse of child lock feature in vehicles. This step was taken to ensure women safety in vehicles. The mandate came almost after a year but it is a right step in the right direction. After the rules are followed and manufacturers disable the child lock in commercial vehicles, it will be safer for women and everyone else, to travel in black and yellow taxis and app-based cabs. Also Read: Tata Nexon becomes India’s first Five-star safety rated vehicle! Also Read: Mahindra Marazzo scores 4 Stars in Global NCAP safety tests! Also Read: Maruti Vitara Brezza dominates utility vehicle segment in India! Carrying a hard copy of driving licence no longer mandatory!